We’ve been in Phnom Penh for quite a while now, but the job of sorting through a months worth of photos and memories has been a bit overwhelming, to say the least. So this blog post took a while to surface. I’ve decided to break it in to three posts, because there are so many great photos that I want to share. 1. 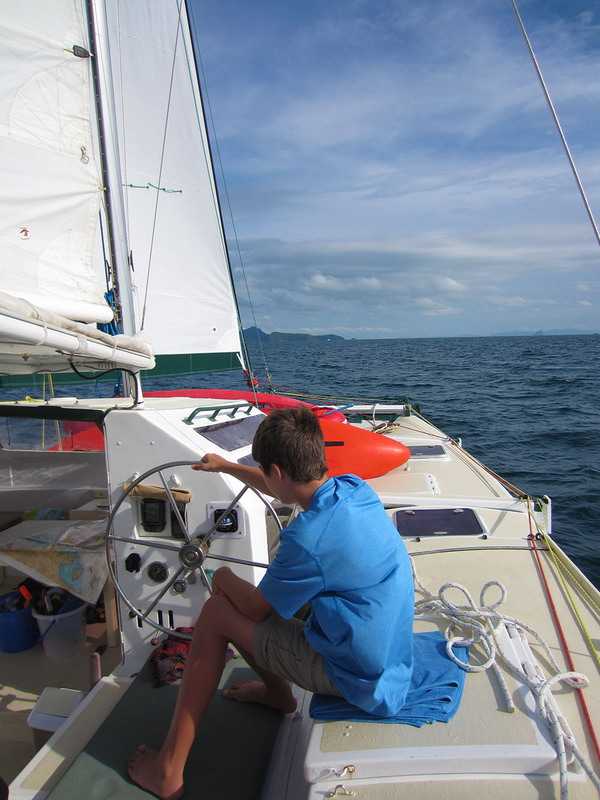 Ao Yon, Phuket : December 5th, 2014 – We started the charter at Ao Yon in Phuket, a beach on a relatively quiet part of Phuket. The driver that picked us up from the hotel stopped at a grocery store on the way to the boat, so we could get groceries. We loaded up on staples, but didn’t buy any fruits or vegetables, hoping we would find a market where we could buy fresher produce. We didn’t find one before leaving, so we left without them. 2. 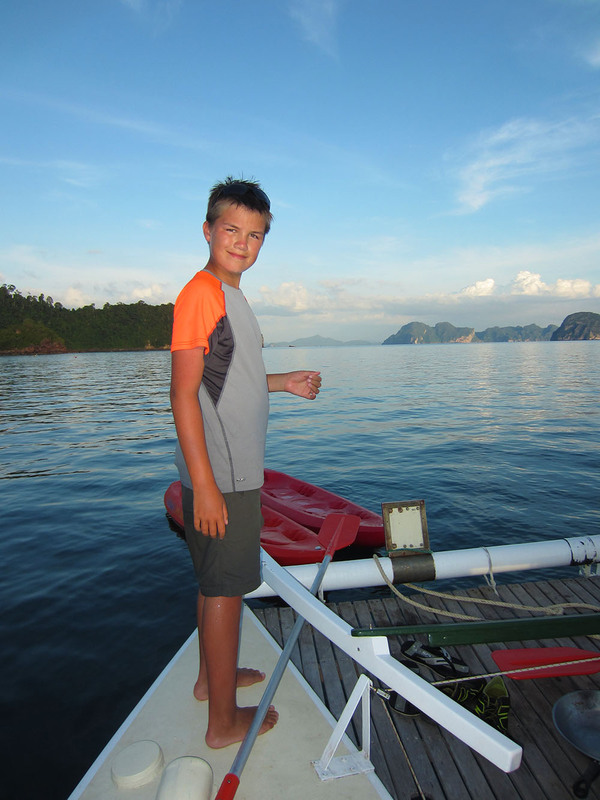 Koh Yao Yai : December 6th, 2014 – After a relatively successful first sail, we anchored off of Koh Yao Yai. 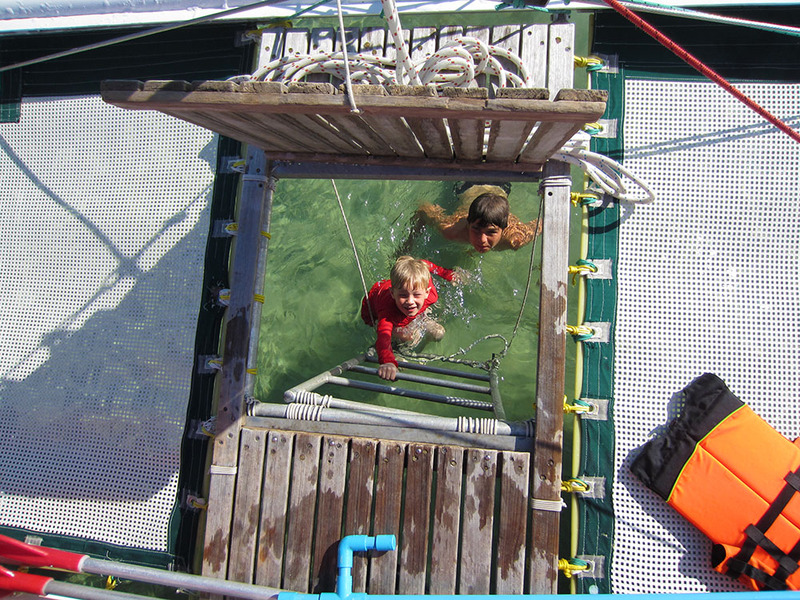 We didn’t go ashore here, but did kayak and swim off the swim ladder. 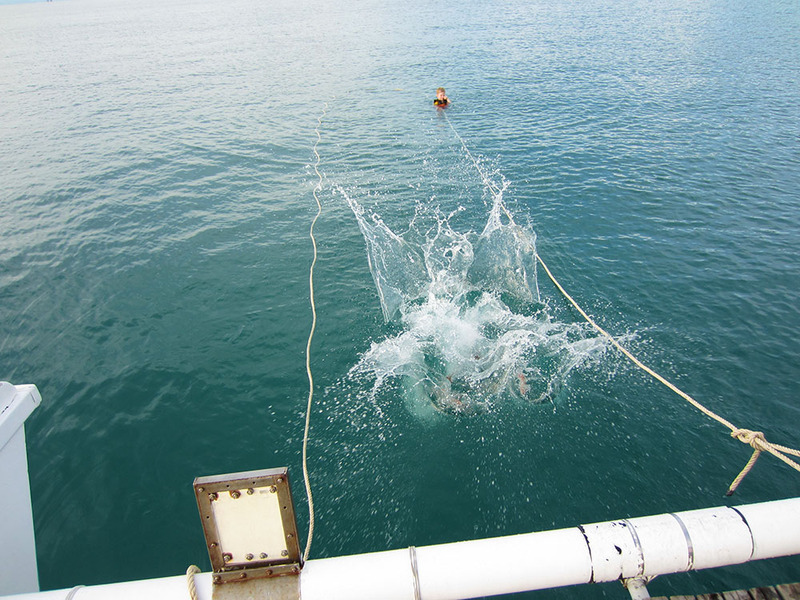 There was a bit of a current, so we tied a line out for Sawyer to grab on to as he swam. 3. 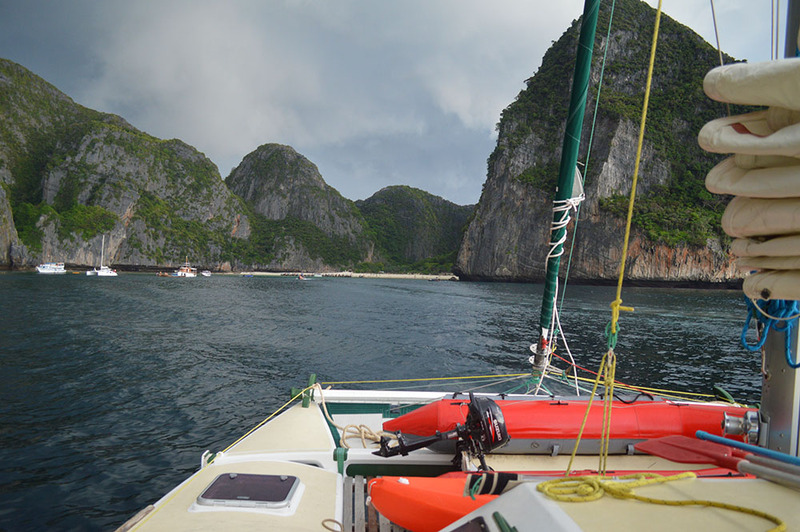 Maya Bay, Koh Phi Phi : December 7th, 2014 – Maya Bay is where the Leonardo DiCaprio movie, “The Beach,” was filmed. 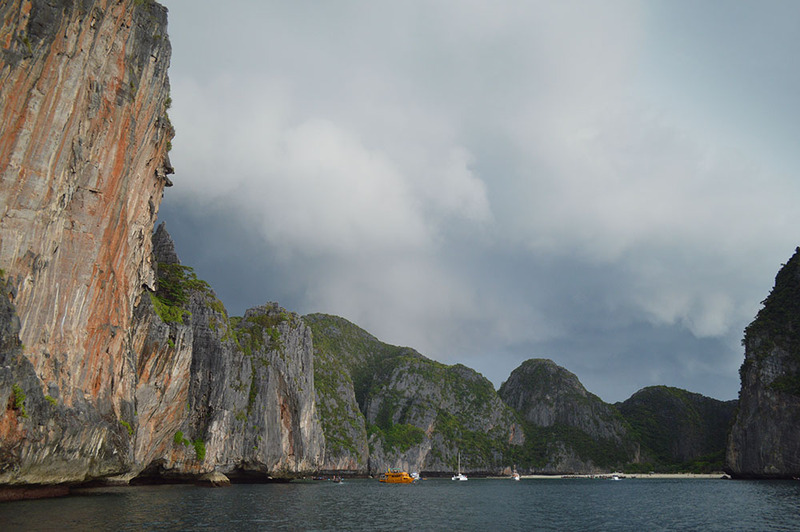 It was beautiful, and buzzing with longtail boats and tourists. One of the great things about being on a boat charter is that if you wake up early, you have the beaches to yourself for a bit, before the hordes of tourists arrive. 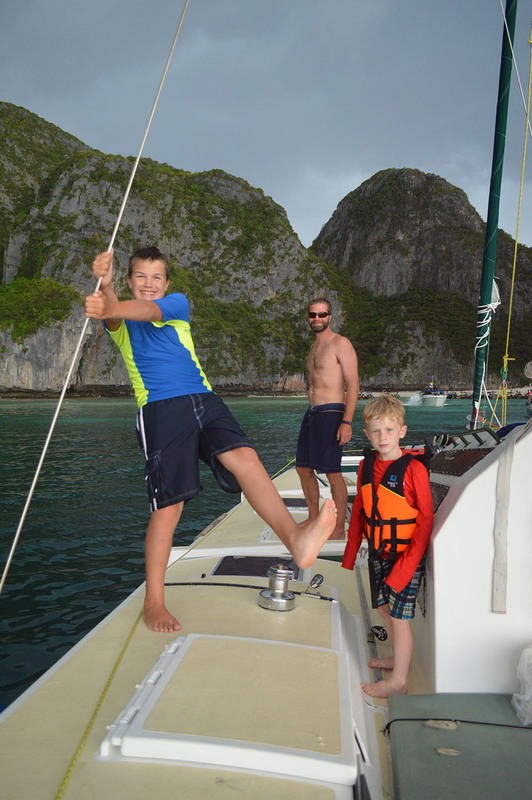 When we first arrived at Maya Bay we got caught in a crazy downpour, Alex fell through his hatch (OK- except a few bruises), and Eric jumped in the water to grab a missed mooring, all at one time. Welcome to adventure! 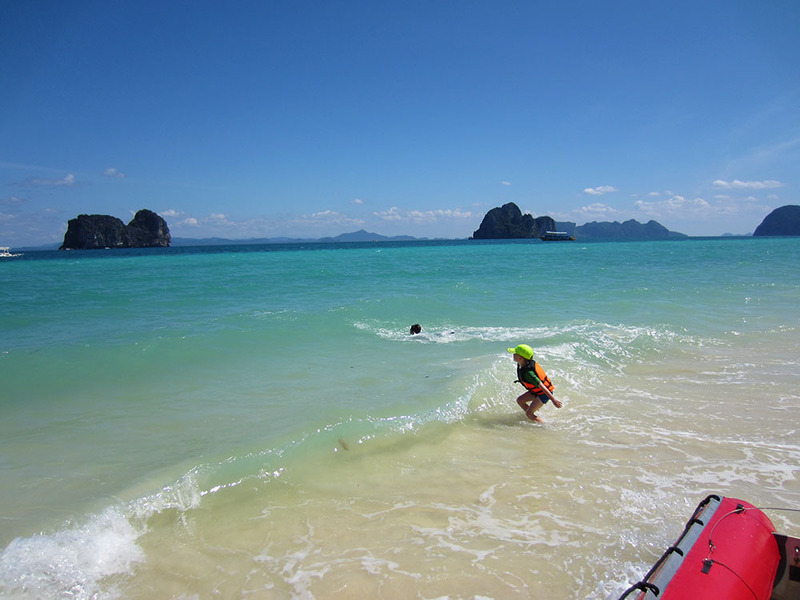 Koh Phi Phi is also where we were first able to buy fresh fruits and vegetables. Finally! It’s amazing that after only a few days without, the kids actually begin asking for fruits and vegetables. 4. 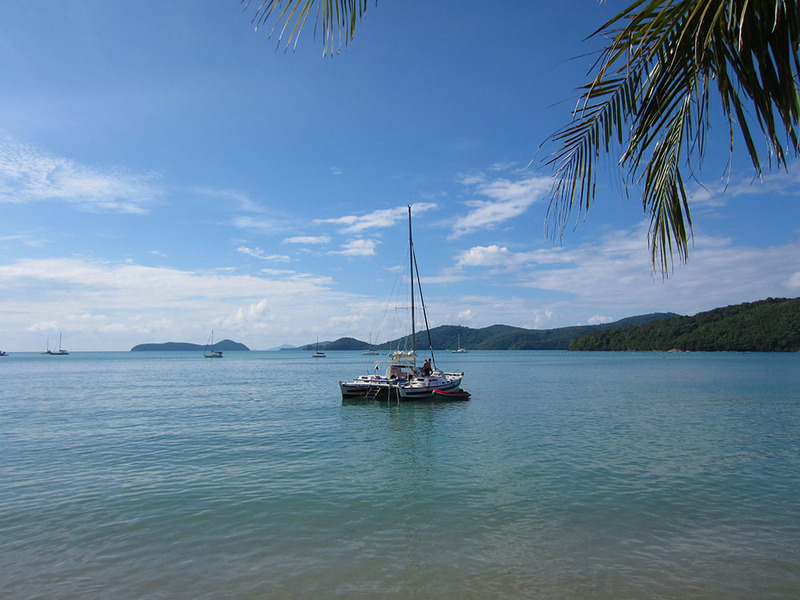 Hat Khlong Chak, Koh Lanta Yai : December 8th-9th, 2014 – This was a mellow spot with a string of resorts running along the beach. 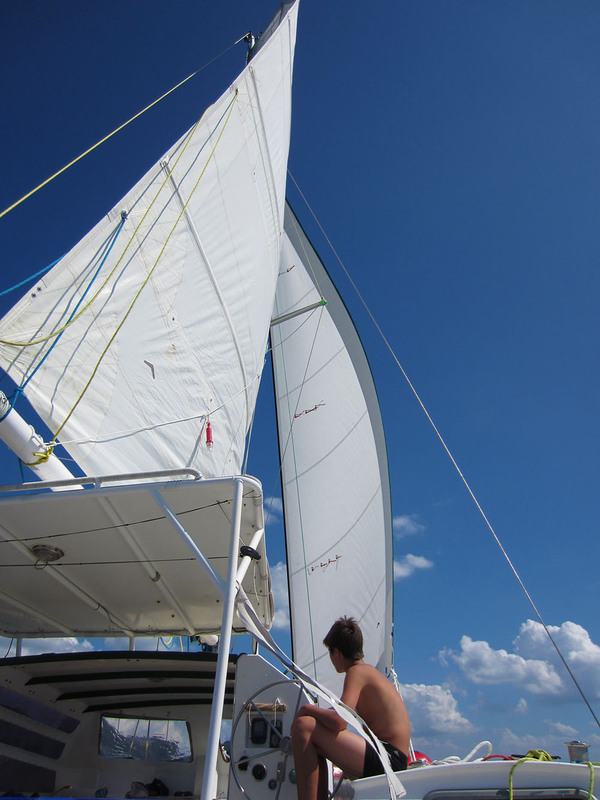 We followed the advice of the cruising guidebook that we were using, and came looking for provisions and diesel. 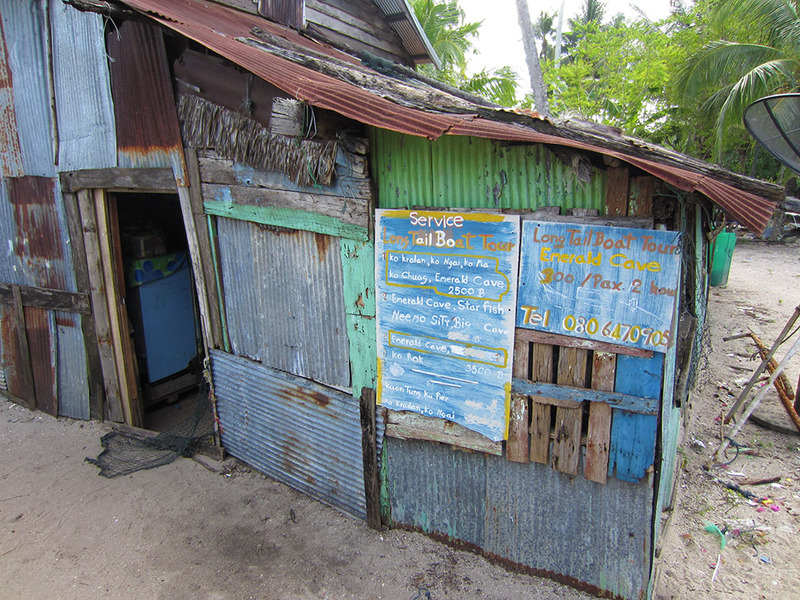 We bought fruits and vegetables on Koh Phi Phi, but were hoping to replenish our supply of snacks and other staples. Eric found the diesel a couple kilometers down the road, but the food market listed in the guide was nowhere to be found. 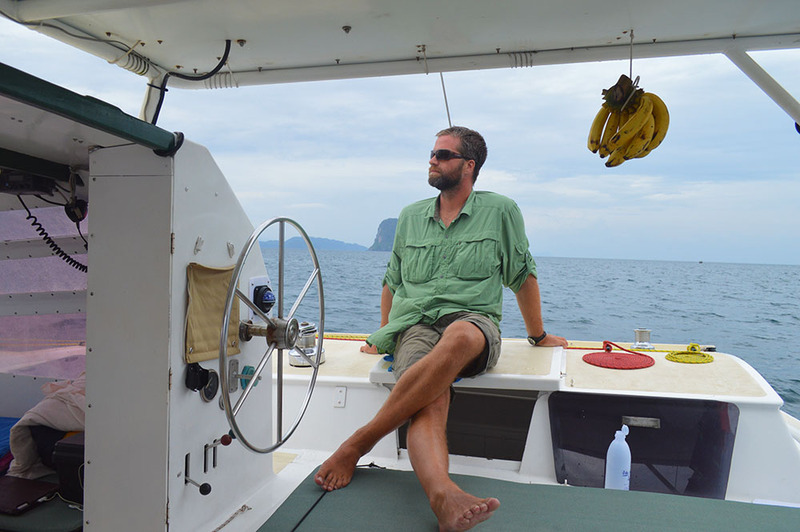 I guess we should have stopped in the north of the Koh Lanta. Time to ration the snacks. 5. 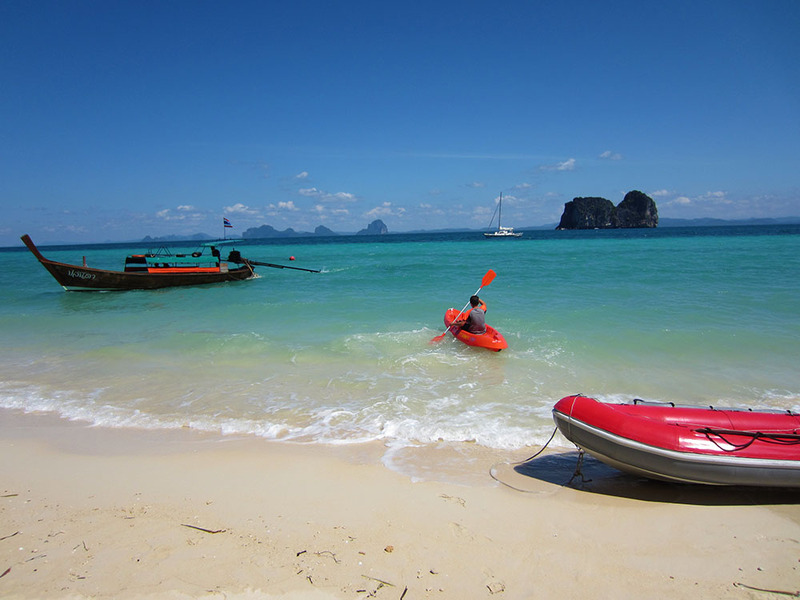 Koh Ngai : December 10th, 2014 – This island is uninhabited, aside from those working at or visiting the resorts. Definitely no grocery stores here. 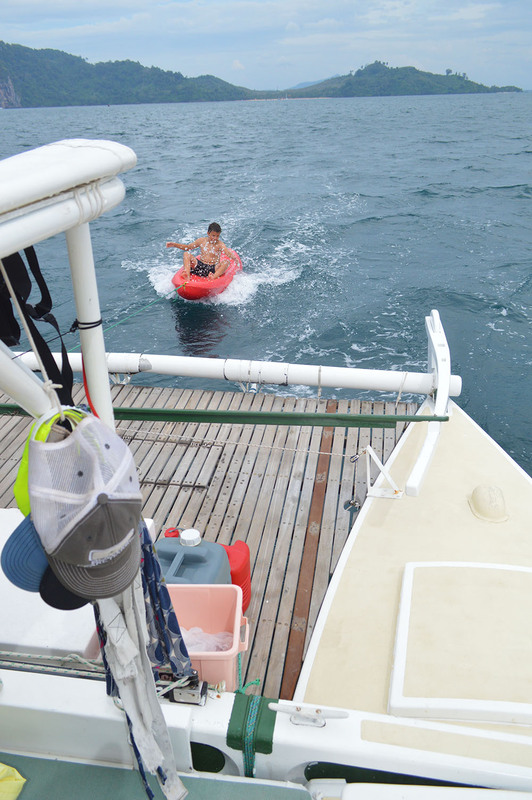 What we did find here was incredibly blue water, and some great snorkeling. 6. 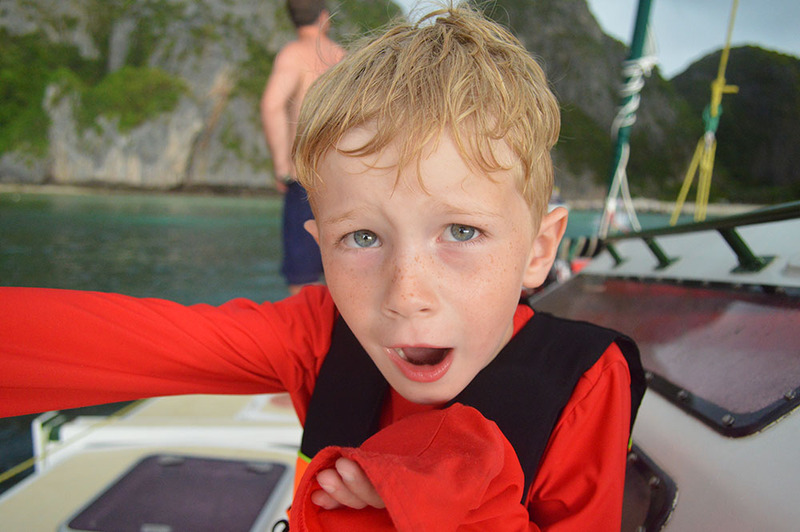 Emerald Cave, Koh Muk : December 11th-12th, 2014 – The Emerald Cave (officially called Morakat Cave) on Koh Muk was a big hit with the kids. 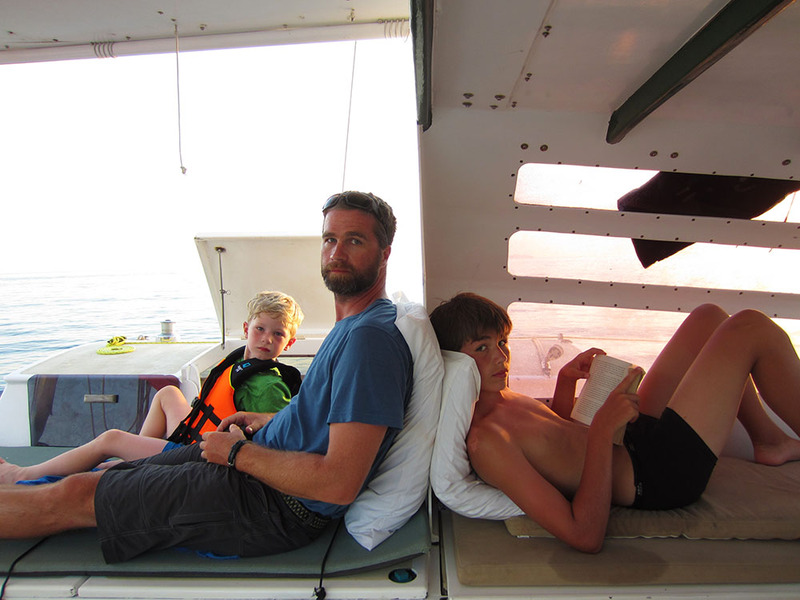 We anchored up beside some rocky cliffs, with all sorts of cavernous openings. 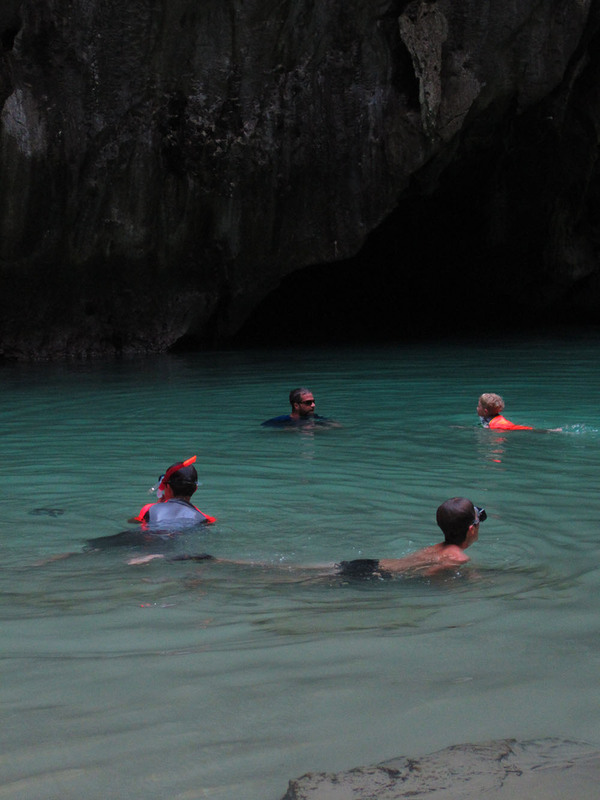 We then jumped on kayaks and paddled through a hole in the side of the rocks that leads to a dark passageway. 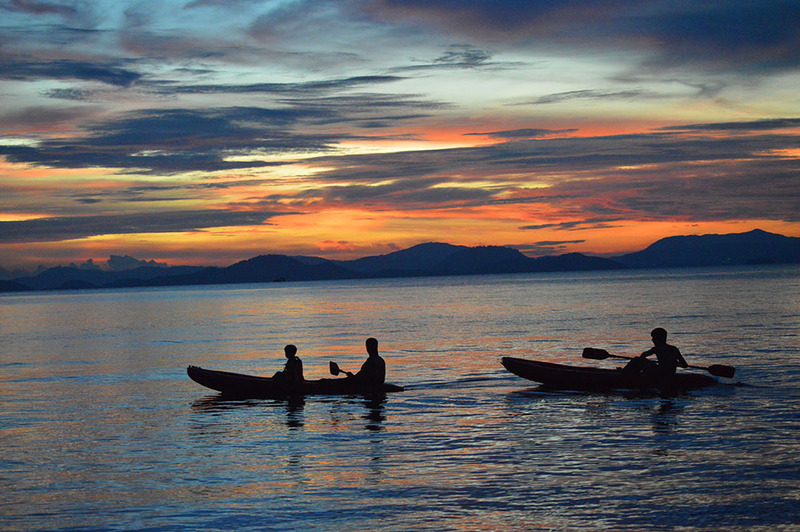 After paddling through the dark for a short while, we began to see light. 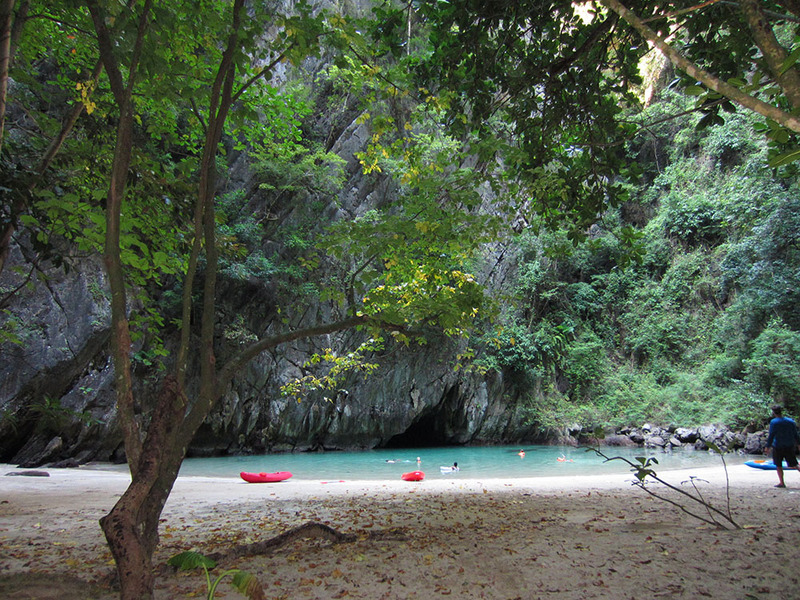 We followed the light out of the cave, and found ourselves in a beautiful, tropical lagoon where you can swim. On Koh Muk, we finally found a village where we could get some groceries. Yeay! We hired a tuk tuk, who drove us around as we loaded up on water, snacks, fruits, veggies, and meat. 7. 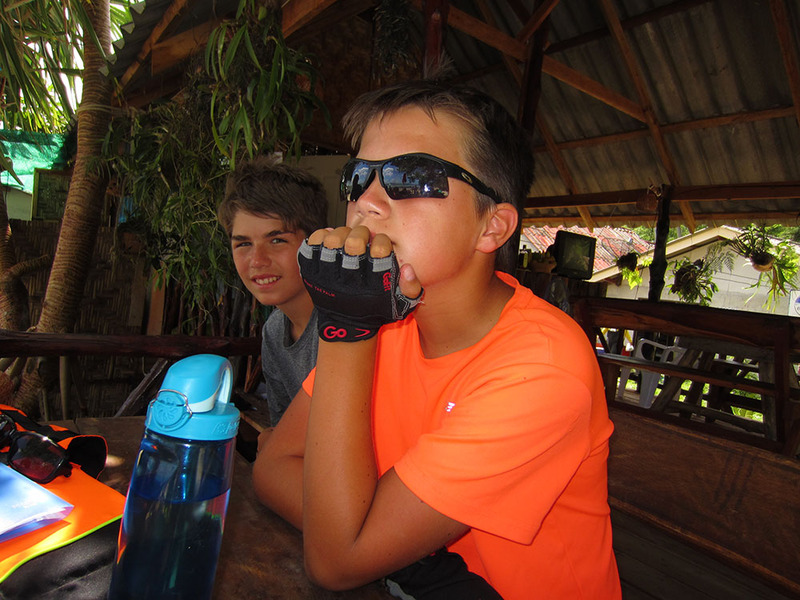 Koh Kraden : December 13th, 2014 – This was just a quick stop for the evening. 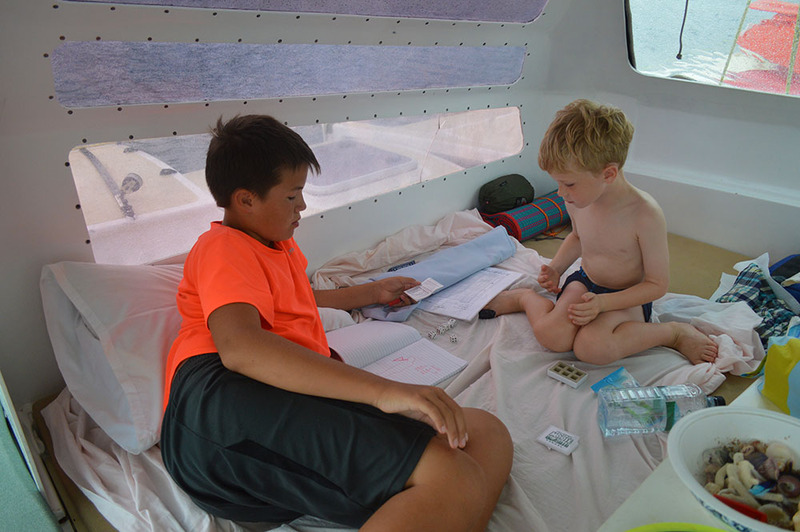 We didn’t go ashore, but spent the afternoon snorkeling and swimming. The only other people here were a handful of fishing boats. Sweet pics, great captions & incredible memories! We miss you all in Alaska. Wow, what beautiful pictures! Thank you for sharing your stories with us! Thanks for sharing. I look forward to current and past (makeup) posts.